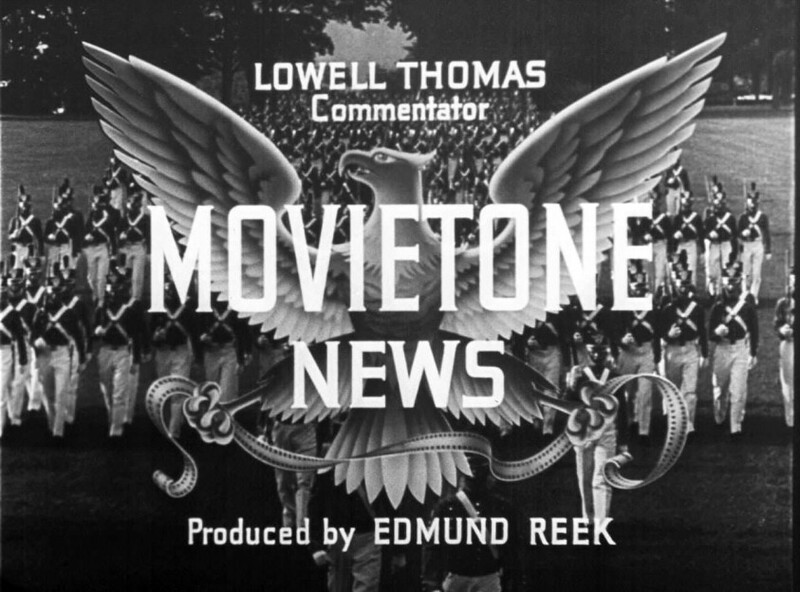 The opening logo for Fox Movietone newsreels. With an NEH grant, the University of South Carolina has made thousands of newsreels available online. Image courtesy of the University of South Carolina. Together, the University of South Carolina’s Moving Image Research Collections (MIRC) comprise one of the largest open-access archives of historical film footage in the United States. The archive was founded in 1980, when Twentieth Century-Fox Film Corporation donated the collection to the university. With more than 23,000 newsreel films from 1919–1934 and 1942–1944, the collection combines film clips of immense historical value with fascinating glimpses into life and culture during the interwar period and the beginning of World War II. On the MIRC website, viewers can watch the first coverage of the Japanese attack on Pearl Harbor or learn the “Kerb Step,” a popular new dance move in the 1930s. With NEH preservation grants, the University of South Carolina was able to rehouse and catalogue newsreel stories that were held on delicate film strips, protecting and making them searchable, and it has digitized more than 8,000 of the stories, publishing them online where they can be watched by anyone for free. This Fox Movietone newsreel, one of thousands in the University of South Carolina's collections, depicts President Franklin D. Roosevelt's historic trip to Casablanca during World War II. Video courtesy of the Moving Image Research Collections at the University of South Carolina. As a resource, the collection is of immense value to filmmakers, teachers, historians, and other researchers, who have made abundant and innovative use of its material. For instance, Princeton historian Emily Thompson incorporates newsreels onto her website The Roaring Twenties, an engrossing soundscape of 1920s New York City. And people continue to find new treasures among the archive’s holdings. These include historic footage of Babe Ruth and Lou Gehrig and of Chofetz Chaim, a religious thinker whose work significantly influenced modern Judaism. Fox Movietone newsreels capture both the historic and unusual events, as with this innovative new method for airmail pickup—developed in 1931. Video courtesy of the Moving Image Research Collections at the University of South Carolina. A great deal of behind-the-scenes labor, made possible with NEH funding, went into making the archive accessible. When USC received the collection, the reels came with two sets of records: one that had been translated and distilled over the years, making them difficult to use and often inaccurate, and a set of “dope sheets”: forms that were filled out by the original filmmakers, itemizing the date, the location, the activity being filmed, as well as other details. The NEH grant gave the archivists the opportunity to incorporate this information back into the digital catalogue, making it more searchable and thus more useful for people using the archive. More than 24 people collaborated on the project contributing more than 10,000 man hours to it. These included full-time staff, temporary employees, interns, and volunteers.